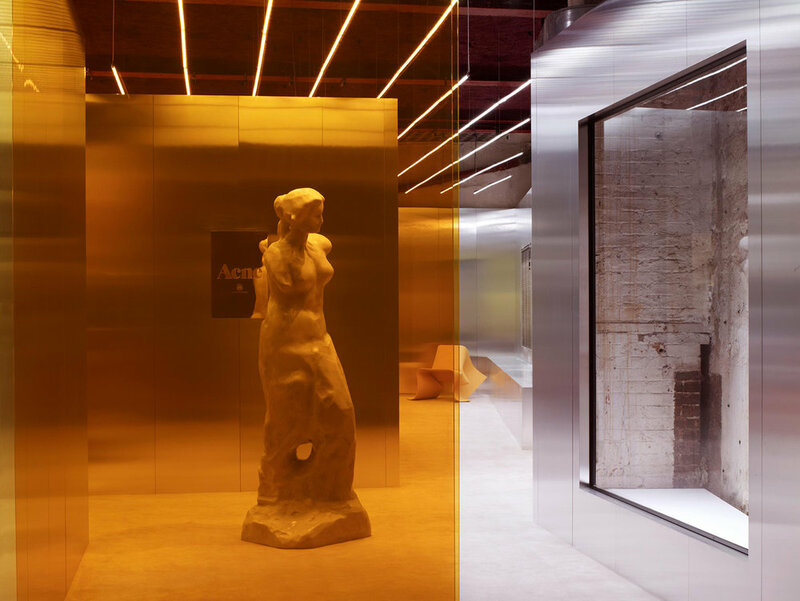 Acne Studios second Parisian Store at 3 Rue Froissart combines raw industrial elements with clean Scandinavian influences. The existing rough industrial walls of this former garage form the backdrop to a new, clean and contemporary space. Natural colored carpets contrast rough concrete walls. 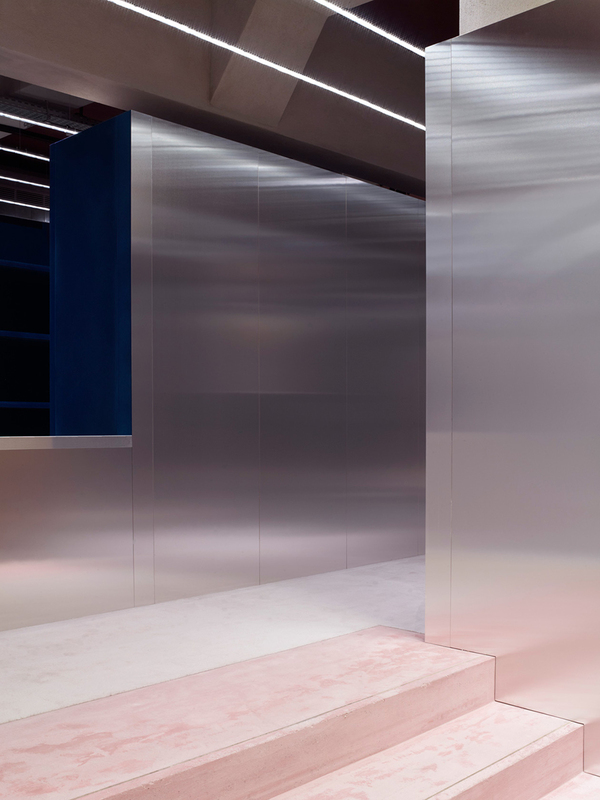 Set-like partitions are made from aluminum, and the interiors are flocked in bold colors, which are hard on the outside but soft on the inside. The ceilings are dark blood red, punctuated by LED lighting. 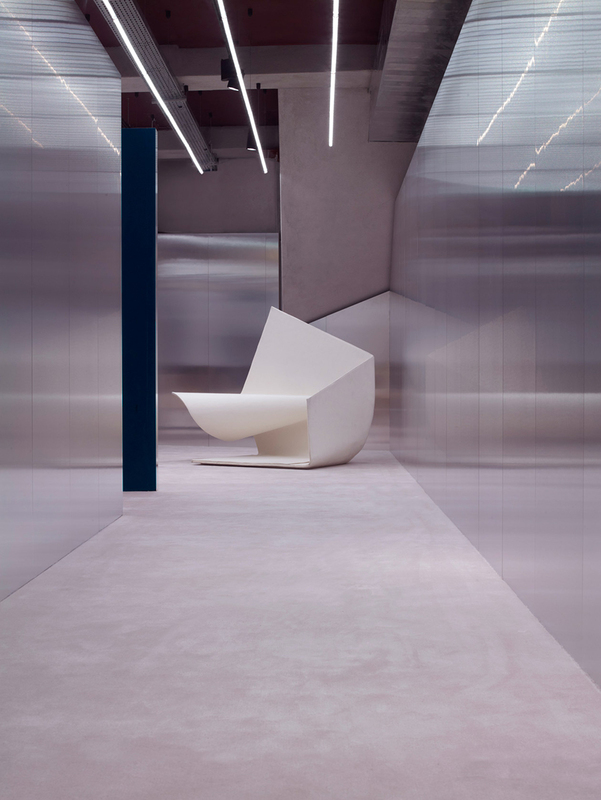 The walls morph into long benches, becoming display areas as well as seating. Shoppers are greeted at the entrance by golden yellow glass and the silhouette of a marble sculpture by English artist Daniel Silver.